WikiLeaks and Swedish BitTorrent file-sharing site Pirate Bay were reportedly battling Distributed Denial-of-Service (DDoS) attacks for several days earlier this week. The user, who goes by the Twitter handle @AnonNyre, has been riling up members of the hacktivist group and supporters of TPB with a series of angry posts on Twitter, to the extent that Anonymous supporters are now demanding to get in contact with him over the social network. WikiLeaks tweeted the status of its Web site a short while ago: "WikiLeaks has been under sustained DDOS attacks over the last 72 hours. http://www.wikileaks.org is good, http://wikileaks.org is flooded". "We're mirroring the #WikiLeaks website, in case you can't reach it. http://wl.wikileaks-press.org," reads the final. AnonNyre also later posted on Pastebin, claiming that he works for the FBI and wants to take TPB website down because it is "a press-release website for Anonymous". UK ISP Virgin Media suffered a DDoS attack on 9 May, a week after complying with a high court order to block users' access to the file-sharing website. The Pirate Bay condemned the action "We do NOT encourage these actions. We believe in the open and free internet, where anyone can express their views. Even if we strongly disagree with them and even if they hate us. So don't fight them using ugly methods. 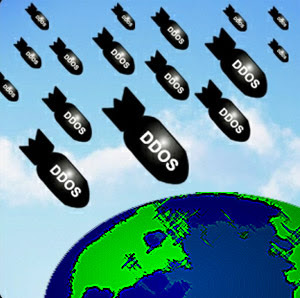 DDoS and blocks are both forms of censorship." The five ISPs forced by U.K.’s High Court to impose a block on its customers accessing The Pirate Bay have less two weeks to comply with the order, or face charges of being in contempt of court.The block must be imposed within 30 days from the time the court issued its ruling, according to sources.